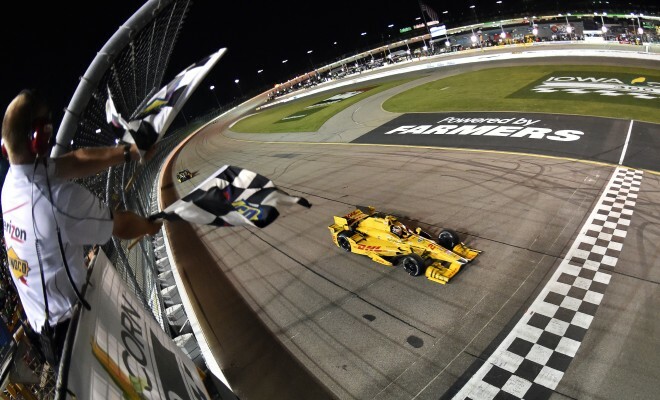 Ryan Hunter-Reay driving his bright yellow DHL Honda to Victory Lane was far from the lone bright spot for the United States in Saturday night’s running of the Iowa Corn 300 at Iowa Speedway for the Verizon IndyCar Series. Behind the race-winner was a plethora of Americans with Josef Newgarden finishing second followed by Sage Karam and Graham Rahal third and fourth, respectively. Ed Carpenter and Marco Andretti finished sixth and seventh to make six of the top 7 finishers from the U.S. The massive presence from the U.S. marks the first all-podium sweep for the country since the Indianapolis 500 in 2006. “It was certainly going to be tough to beat them today,” said Hunter-Reay. “I was driving the snot out of (the car). It was loose – I just kept my foot to the floor and it was barely just having to lift in the end. It was a lot of work in the cockpit. With strong Iowa results in his recent past, Hunter-Reay rallied from his best qualifying effort of the season of ninth to put his name on the map, winning for the first time in 2015 and the 15th of his career. “This one we really had to work for, this was a hard one,” he said. The same can be said for the majority of the top finishers who had to overcome multiple restarts and wild maneuvers to make it to the end. Newgarden was a familiar name out front for most of the night, leading laps and finishing second place and on the podium for the third time in 2015. 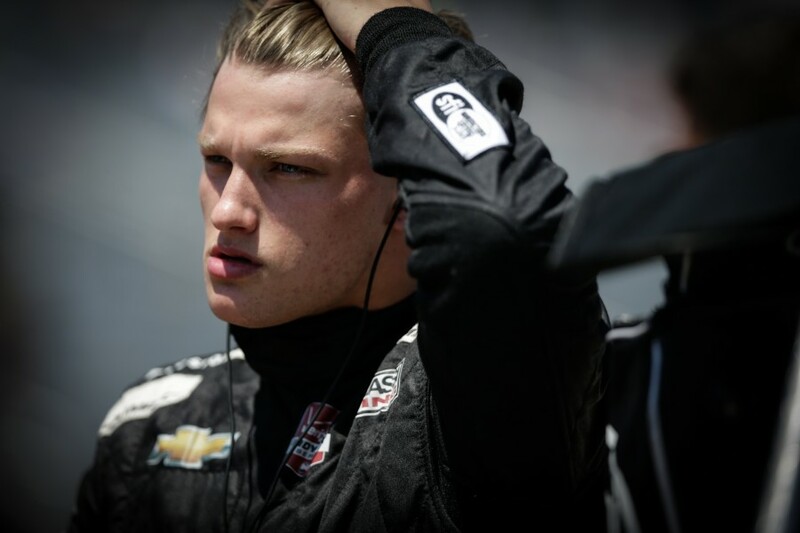 The young driver that was lighting the track on fire in the closing 25 laps was 20-year-old Sage Karam. Restarting third, the No. 8 driver quickly fell to fifth before raging forward in controversial fashion past Ed Carpenter, Carlos Munoz and two lapped cars. Carpenter, who came home sixth, approached Karam after the race and voiced his frustration. Carpenter believes a penalty should have been given on the spot for the dangerous moves from Karam. After a career night, Karam seemed to brush off the incident and stand his ground on how he raced in the closing laps of a wild night. “He’s just angry at my driving,” Karam said. “He says I squeezed him a few times. It’s the same way he drove me, it’s hard racing. I’m going for wins and that’s how we’re driving. 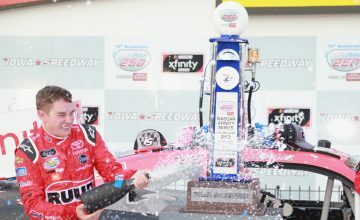 Although tempers heated among the American drivers, the top runner American in the championship standings, Graham Rahal, stayed cool under pressure to stay in the hunt and grab a fourth-place result. “We had a heck of a night,” said Rahal who advanced to second in the title hunt behind Juan Pablo Montoya. 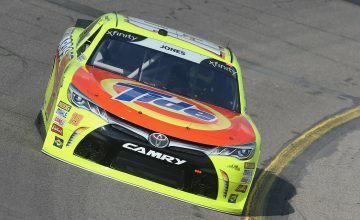 “A flat tire, which was early on, right rear went flat. Then the car decided to not shift so we were in from lap – about – 60 on, it was stuck in sixth gear. A long and eventful night brought the U.S. to the front, proving that IndyCar is full of bright American talents either young or experienced, cool or frustrated, fast or lucky.